I don’t know what songs they might sing for Christmas around here, but there is no such thing as a silent night in Stauceni. First of all, let me say that there isn’t much night to speak of anyway: it doesn’t get dark-dark until after 10pm and the sky is light enough to read by at 4:15am (I know, because I’ve done it.) Because I don’t sleep very well unless it’s really dark (I can’t even stand a light on in the next room,) I’d really like to sleep through the relatively short period of night that occurs here in Moldova during the summertime. Not so, I’m afraid, because each night the dogs must sing their opera. 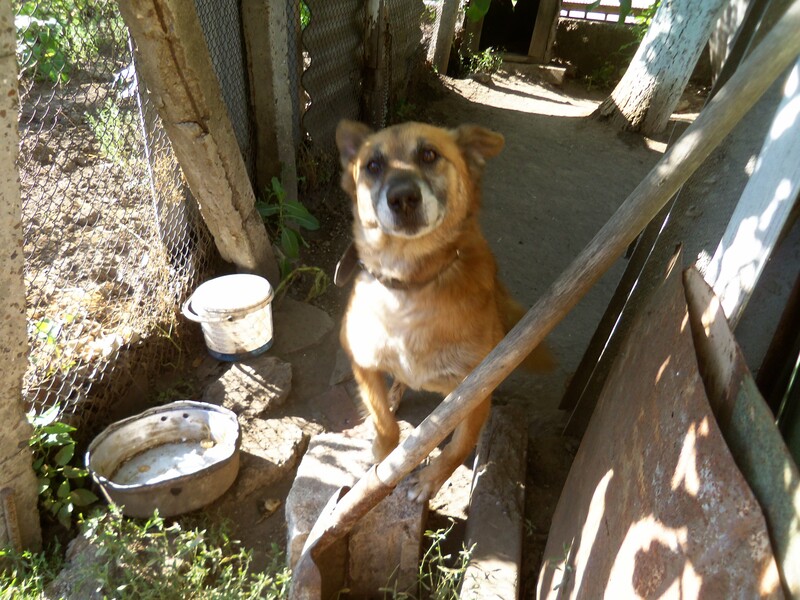 I have not mentioned the dogs here yet, mostly because their living conditions really sadden me. Though it isn’t as bad as other countries I’ve visited, there is still a profound difference in the way they are treated compared to dogs in the US. 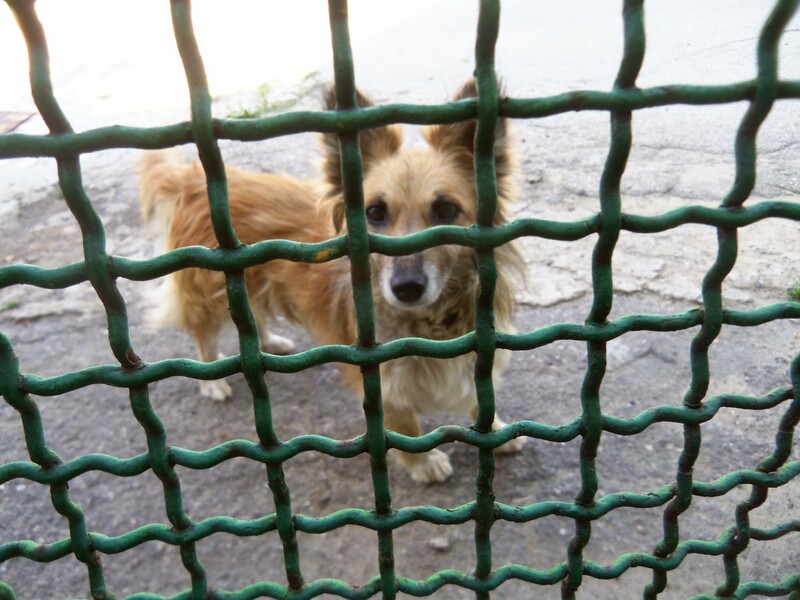 Basically, there are a multitude of strays everywhere that forage the trash, streets, and fields for food and then there are those kept chained up in people’s yards and fed disparately according to their owners’ temperaments. There are a few that seem to be kept as pets, i.e., allowed to roam their owners’ yards freely (NEVER inside the house) but amongst us volunteers only two out of nine of our families have one like that. Almost every house in the village, though, has a dog chained up near the front door. Ostensibly, they are supposed to serve as sentries. But when they bark at every person that passes by, I’m not sure how effective they could be, as one becomes inured quickly to their warnings during the day time. Except I don’t. I really love dogs and am missing my own more than I expected. (I spent a lot of time with her the past six months or so when she was my only company most days.) So last night as I lay there again listening to the chorus and trying not to let evil thoughts of slaughter creep into mind, suddenly an awareness sifted softly into my sleepy brain: they are singing to each other, I thought. These dogs that spend their whole lives chained up in yards, never allowed to roam, cavort, or run, always circling the same four foot enclosure, never able to sniff or greet or play with their own kind, they are lonely. In the silence of the night they call out to each other, sing for each other, tell stories amongst themselves about the meager contents of their days. Perhaps the strays join in and relate the vagaries of their existence – the difficulty of finding food, the discomfort of the hot sun and cold rain and blustering wind when there is no shelter to be found. Their songs are permeated with frustration and yearning and sadness and grief. At least that’s what I was hearing at 3:30am in the never-silent night. On a happier note, Nina and her male suitor (she refuses to even CONSIDER his persistent proposals) sing often for me. This is one thing that’s very different about Moldovans. After our meal is finished, very often we’ll sit in silence (finally – silence!) for minutes at a time, just looking around, listening to the birds sing, the wind blow, the children play out in the street. Occasionally, with no apparent prompt, Nina or Ilea will begin humming or foot tapping, and then begin a duet melodious and sweet. Sometimes they sing to each other, sometimes they sing to me. Sometimes they just sing. The songs are often melancholy and bittersweet. Even though they’re in Russian or Romanian, I can always tell by the tone what emotion the song is conveying. OMG! Well, you know how I feel about barking dogs. If I had a hell, designed just for me, it would definitely have dogs barking all night. Now let’s hope you continue to feel warm and fuzzy tonight when you are forced to listen to their serenade at 2 a.m.